Brynford Community Council are proud to announce that they will be unveiling their new village trail on Wednesday 4th July at 1.15pm. 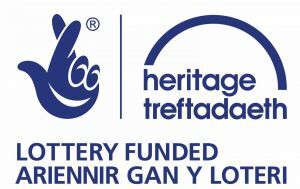 The trail, which has been funded by the Heritage Lottery Fund with additional support from Cadwyn Clwyd and Flintshire Country Council, aims to make locals and visitors more aware of the heritage and wildlife of Brynford. 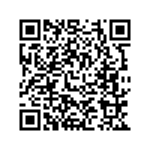 The trail is available in a variety of formats to encourage a wide range of people to use it. Information panels will be erected in the bus shelter on the village green and a trail leaflet will be available at the Pet Cemetery café, the village shop and local libraries. For those who use smartphones or tablets, a digital version of the trail can be downloaded from the App Store or Google Play. Once downloaded, the app does not need Wi-fi to work and, when you get near the numbered features of interest, a notification is automatically sent to your device taking you to the relevant content. Brynford School have been actively involved in the project from the outset, with junior pupils helping to develop a timeline of the village and dramatising key events from it, researching points on the trail, recording older members of the community, and producing some wonderful artwork showcasing Brynford’s wildlife, under the guidance of community artist Helen Taylor. The event will start at 1.15pm at Brynford School and will include a short walk to the village green. Some junior pupils will be costumed guides along the trail, acting out short scenes from Brynford’s history at key points. Other pupils will be on hand with their tablets to show visitors how to use the digital trail. At the village green, the new interpretation panels will be unveiled and everyone is then invited back to the school for refreshments.